At RCH Care Homes, we are delighted to announce our new partnership with the Association for Dementia Studies (ADS) following the launch of our new dementia strategy, By Your Side. The partnership was launched this month with the national and international centre of excellence in dementia studies based at the University of Worcester. The care provider will support us in delivering By Your Side — ensuring it is underpinned by evidence-based research and expert dementia care knowledge. 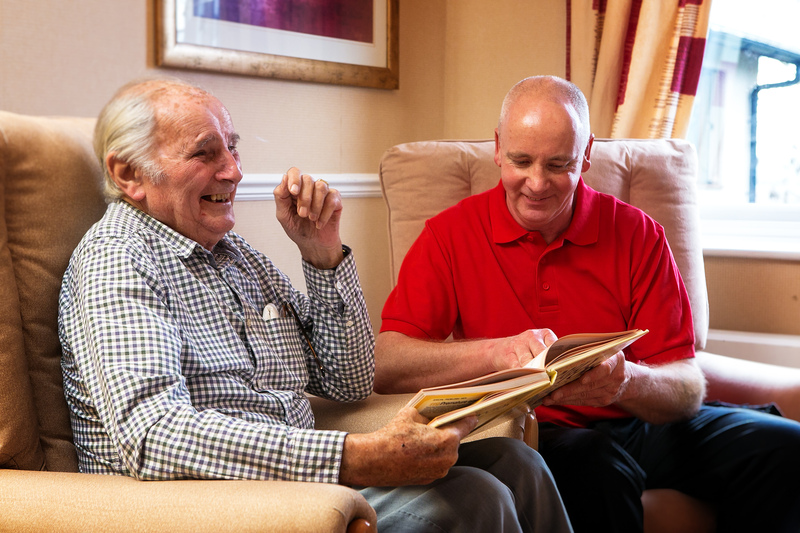 Our strategy, which was founded on four key pillars: training, environment, activities, and hospitality, will be rolled out and embedded across our ten care homes in the east and south-east of England during 2019. During the first six months of the year, the team at ADS — led by world-renowned Professor Dawn Brooker, will deliver tailored training sessions to our senior leadership team, all care home managers, and 24 dementia specialists. “At RCH, we are dedicated to creating homes which enable our residents to wake up in the morning and look forward to the day ahead, and go to bed at night feeling happy, loved and contented having had a great day. “Dawn and her team have an excellent reputation for developing cutting-edge training, education and research in dementia studies — making life better and more enjoyable for people living with dementia. “As we share the same ethos at RCH, I’m excited about the future and what we can all achieve together for the benefit of our residents, their loved ones and our team". Professor Dawn Brooker added: “We are delighted to be given the opportunity to undertake this work with RCH Care Homes. Person-centred care requires sign-up to working in this way across the whole care provider organisation if it is to be sustained over any length of time. "The practice development programme that we are working on here supports leadership at all levels. It will enable all staff to provide the best quality of care for people living with dementia". If you’d like to speak to someone about our dementia care, then why not visit or call one of our ten care homes across the south-east and east of England. Or you can email us on marketing@ranccare.co.uk.